Rosa Maria Martinez, MD is a Swiss board-certified forensic pathologist at the Institute for Forensic Medicine of the University of Zurich. 2006 she graduated at the University of Zurich, Switzerland, and obtained her doctorate in 2011. 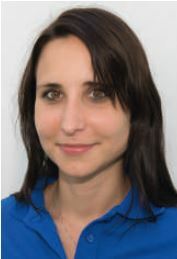 She worked in clinical surgery (2007 – 2008) and in pathology (2008 – 2009) at the Triemli Hospital, Zurich, Switzerland. Since 2009 she is working at the Institute of Forensic Medicine in Zurich. In 2013 she received the board certification as a specialist in forensic pathology. Her major scientific interest covers post mortem biopsy and pedopathology. She is founder member of the International Society of Forensic Radiology and Imaging (ISFRI), member of the Swiss and German Society of Legal Medicine (SGRM and DGRM).